You are attempting to open a file type (Visio 2000-2002 Binary Drawings, Templates and Stencils) that has been blocked by your File Block settings in the Trust Center. 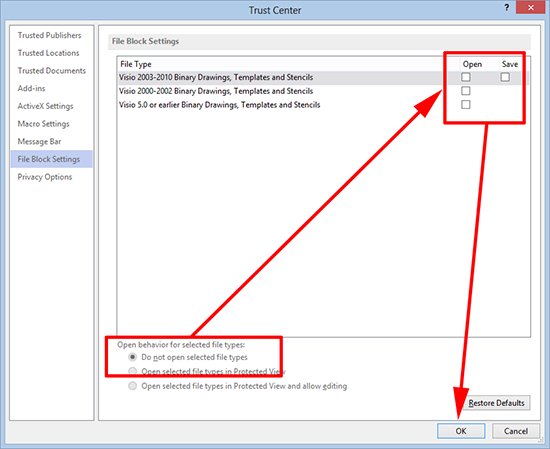 Microsoft does love a ‘double negative’, to get your files to open Files > Options > Trust Center > Trust Center Settings > File Block Settings. Now the default policy is block, so to make them work you need to UNTICK them!